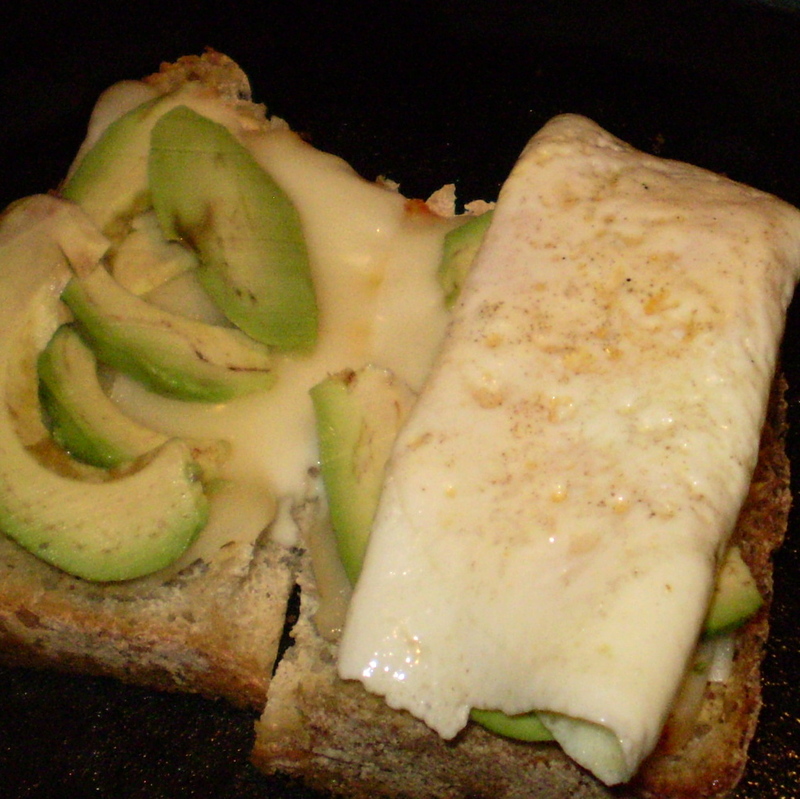 When most of the white is cooked, put the egg on top of the avocado. Leave it flat if you’re making a whole sandwich, or use a spatula to roll it burrito style to fit. Add the bacon here if you’ve got it ready.